Up hours before he picks up any clients cast netting fresh bait for the day is where you can find him on any given morning. A belief that this type of dedication is something you must have to succeed as a guide is what drives the long days and nights for him, always striving to provide quality fishing trips for each client is the main goal each time he leaves the dock. 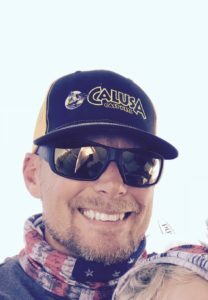 Captain Mark believes that is what goes in to making a GREAT fishing guide, more than just catching fish. You have to be a personable fun person to be around and more. After all no one wants to spend a day with someone they do not like! 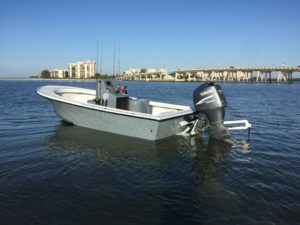 The type of boat used to fish in Southwest Florida is very important to the success of the angler. A smooth riding, dry, stable, comfortable, safe, shallow drafting boat is a must and there are only a few boats that can provide all that. Captain Mark Yimin’s boat is one of them. 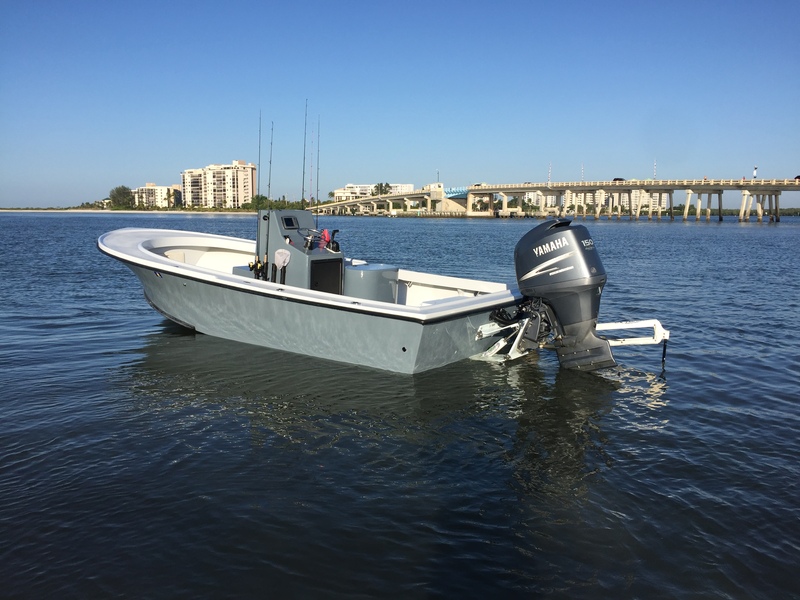 Captain Mark owns a custom Parker 21se with a Porta bracket, large 40 galloon oval live well for fresh caught bait and a power pole. It is also equipped with the latest in marine electronics. It has enough fishing room for 4 adults and will get you where you need to go comfortably and safely.